Just in time for the World Cup of Hockey, MLB Postseason and NHL regular season, Sportsnet NOW has officially launched on Xbox One video gaming consoles! 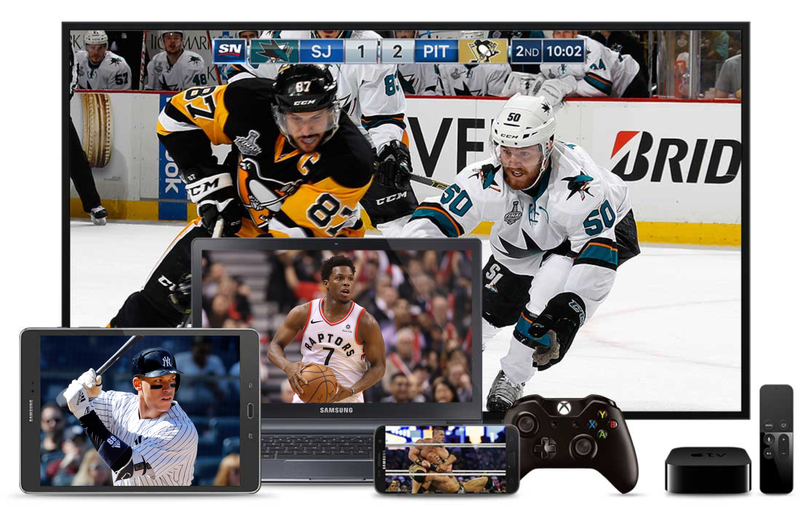 Sportsnet NOW, Sportsnet’s over-the-top (OTT) sports streaming service launched in April, added Xbox One to its slate of connected devices – one of the platforms most frequently requested by Sportsnet NOW users. Launched a month after Apple TV, Xbox One offers Canadians another way to use their Sportsnet NOW subscription on the big screen, requiring nothing but an Internet connection. In order to access their Sportsnet NOW subscription, users simply proceed to the Xbox store and type in “Sportsnet” to download the free app. Upon opening the app, click on the “SN Now” tab across the left-hand portion of the screen and select “Sign in.” This will open up a new screen with “SN Now” on the left and television providers on the right. Choose the Sportsnet NOW side and input your login information (i.e., a MyRogers username and password) created when registering for the service. Once signed in, you’ll be able to watch live events and shows on any of the 6 Sportsnet channels available, including games on CBC, where available. Delivering a reliable 720p HD stream, the app allows users to watch highlights, analysis and interviews, in addition to streaming all of their favourite sports and Sportsnet original programming. What is Sportsnet NOW? Sportsnet NOW is a monthly streaming product, priced at $19.99 or $27.99 per month, plus applicable taxes. No contract required. You pay month to month and can cancel at any time. It is also available to purchase for a full year through an annual pass subscription for a one-time fee. A subscription grants you 24/7 streaming access to Sportsnet East, West, Ontario, Pacific, Sportsnet 360, Sportsnet ONE and content not available on the Sportsnet television channels. Sportsnet NOW is also included for free with your TV subscription with participating providers based on the Sportsnet channels you have in your television package. For a list of participating providers, please visit www.snnow.ca/faq. Sportsnet NOW is currently available on desktop or laptop through your web browser, as well as smartphones, tablets, Apple TV (4th gen), Xbox One, PlayStation 4, Amazon Fire TV, and Google Chromecast by downloading the Sportsnet app. Content includes: Over 500 total NHL regular season games, all outdoor games, the entire Stanley Cup Playoffs, Toronto Blue Jays, MLB regular season matchups, Postseason and World Series, Grand Slam of Curling, 41 Toronto Raptors games, 100+ marquee NBA matchups, CHL, WWE, FA Cup, Bundesliga, IndyCar, Rogers Cup Tennis, Tour de France, all your favourite Sportsnet original programming and much more. © 2000-2019 Rogers Media. All rights reserved.